Need more discussion than what you'll find below? I now have a blog at Wordpress.com and you are welcome to check it out here. New video of Bird Safe Building design testimony at San Francisco Planning Commission is available for download. They have a great links page along with everything else they offer and rather that repeat every link just be sure and check out the external links page on their site. Established in 1970, The Peregrine Fund works nationally and internationally, to conserve birds of prey in nature. 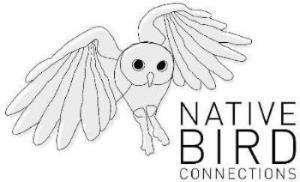 We conserve nature by achieving results--results restoring species in jeopardy, conserving habitat, educating students, training conservationists, providing factual information to the public, and by accomplishing good science. Wildcare advocates for wildlife for a sustainable world. They rescue, rehabilitate and restore wildlife to their natural habitats. I am a member of NANPA, the North American Nature Photographers Association. 3. To instill a respect and admiration for these skilled hunters and to promote wildlife conservation and habitat preservation for our wild populations." The International Bird Rescue Research Center (IBRRC) has been helping birds around the world since 1971. Its mission is to mitigate human impact on aquatic birds and other wildlife. This is achieved through rehabilitation, emergency response, education, research, planning and training. The mission of the Golden Gate Raptor Observatory is to study migrating birds of prey along the Pacific coast and to promote public awareness of the state of raptor populations. The GGRO is dedicated to the conservation of raptors and to community involvement in wildlife research. They work to restore the integrity of the elements that sustain life -- air, land and water -- and to defend endangered natural places. They seek to establish sustainability and good stewardship of the Earth as central ethical imperatives of human society. NRDC affirms the integral place of human beings in the environment. * promoting more efficient use of resources and energy and the maximum reduction of pollution. There is a world of great bird photographers out there. I am privileged to know one in particular that has been involved with raptors for most of his life. Please if you haven't visited his site yet, go there and be amazed at some terrific raptor photography. See what peregrine look like away from the big city. Buy a print too! Parrots in the City? Oh my, yes! Made famous by Mark Bittner's movie, "The Wild Parrots of Telegraph Hill", the parrots not being a native species have had mixed success at city life. Several have fallen ill and have been rescued by Animal Control. When found, they are sent to Mickaboo Cockatiel Rescue, a volunteer organization that rescues parrot-type birds in Northern California. Mickaboo provides them with veterinary care and releases them back to the flock if possible, or if not, they place the birds in a foster home. Mickaboo receives no city funds and relies on volunteers and donations. If you would like to help the parrots, go to www.mickaboo.org for details. I highly recommend Chris Gomersall's book on the subject. 200 stunning photographs of nearly 75 different species. 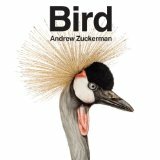 These winged creatures from exotic parrots to everyday sparrows, and endangered penguins to woody owls are captured with Zuckerman's painstaking perspective against a stark white background to reveal the vivid colors, textures, and personalities of each subject in extraordinary and exquisite detail. The ultimate art book for ornithologists and nature enthusiasts alike, Bird is a volume of sublime beauty. This book is an amazing compilation of the recovery story. I can't recommend this book enough; it is an amazing recounting of the recovery from the time the problem was made known up to about 2003 when the book was published. Highly reccommended. It's also available at Amazon. A great overview of falcons through the ages and up to the present. Would make a great gift for someone at holiday time. Some amazing anecdotes of raptor behavior I have not read anywhere else, plus some very good artwork. Over 100 authors works are included in this 900 page book. If you want to know more about environmental writing, but don't know where to start, this book is for you. I just discovered this writer and I can't recommend her enough. 99% of the photos on my site were taken with the Canon 20D, 30D, 40D and the 1DMk3 digital bodies and the Canon F5.6 400mm L and F4 500mm L series telephotos. You can see more about the 400mm older lens that most photographers know about but seem to forget at this wonderful website. And other reviews of the lens is found at Photographyreview.com here. Finally, don't forget to get a good solid tripod, and for ease of tracking a bird in flight, the Wimberley Sidekick. You have to see it to understand how it works and you have to use one to really appreciate it. So take a look. 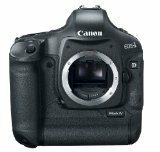 You also read reviews of it and can write a review of this piece of hardware at Photographyreview.com at this link.